To find out more about your basement conversion project need planning permission. Simply contact APT Renovation team. Please note: If your basement conversion project requires planning permission and you do comply with rules, you can get penalty ‘enforcement notice’ which will enforce to undo all the changes you have made to your basement conversion. If you are constructing a new basement conversion and making extensive changes to existing buildings you will be required the permission for your local planning authority to get a planning permission. This planning system is designed to control inappropriate development. In this case APT Renovation can do it for you. If you planning to excavate and create more space in property or alteration of existing building you will need to apply for planning permission. 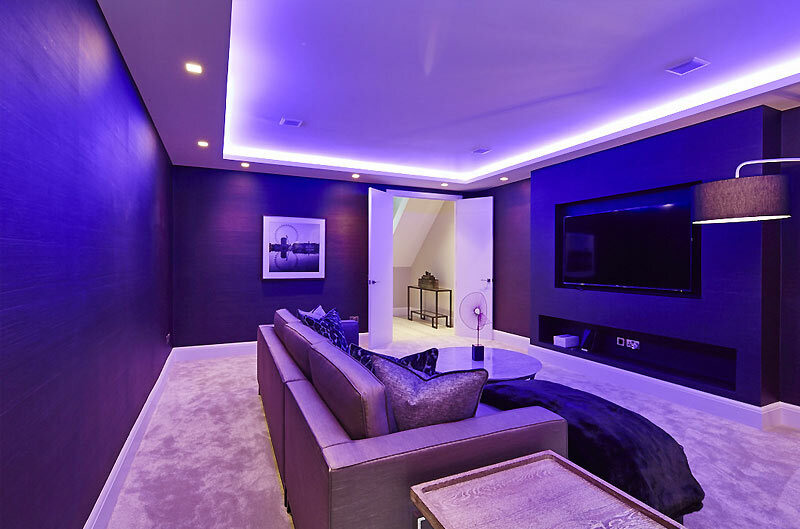 Basement conversion requires planning permission depending on the size meter square of the project and the level of Permitted Development rights afforded to or still remaining on a property. Permitted Development was first introduced at the beginning of our planning system – in the Town and Planning Act on 1st July 1948. Which allows make minor changes in building planning, such as converting a loft or extension so in this case you need to go for full planning permission. What’s the difference between Outline and Full planning permission? Outline planning permission is not advisable for basement conversion project. APT Renovation advice you to go full planning permission. The fee for submitting a planning application varies depending on the nature of the development. As well as fees for pre-application advice please contact APT Renovation, as we receive your required information in details we can give the exact price. What is the basic form of a planning application? Each basement conversion has different layout and shape which required to include five copies of planning permission application forms, the signed ownership certificate, a site plan, block plan and elevations of both the existing and proposed sites, a Design and Access Statement and the correct fee. What is Design and Access statement, how do I get one, and how much will it cost? The statement for basement conversion has to include all planning applications except householder building works which is located at unprotected areas and changes of use. Statements they show justification of proposal’s basement design concept and the access. The level of detail depends on the scale of the project and its sensitivity. Most authorities will have guidance notes available to help you but, unfortunately, this is something which everybody knows how to submit, if you are planning to submit simply contact APT Renovation. Planning permission directly links with planning conditions which you will need discharging/agreement for your project. Planning conditions are extremely important and failure to comply with local authorities can result in breach of condition notice, to which there is no right of appeal — not to mention it could be enforced through the courts by prosecution. Conditions can be as simple as requirement of your project materials to match existing ones, or that all boundary treatments must be agreed. While neighbours and parish councils (in England and Wales) are consulted and invited to comment on your design project, only objections based on material, loss of privacy, proposals in development plan considerations are taken into account. If your neighbours happy with your design project and doesnt have any objections and the officers recommend approval, you will be granted planning permission for your basement conversion project. If your basement conversion project has objections or the application elevated into a committee by one of your local councillors, then the decision will be made by a majority vote by the local planning committee. During the planning meeting, you or your agent (APT Renovation) will be given an opportunity to address the planning committee. APT Renovation highly recommend you to consult with us prior to buying any plot, to work out the potential of basement conversion project. By consulting with us you can end up saving thousands of pounds on buying a property that turns out not to be allowed to make basement conversion. Our planning consultant team has extensive experience and full knowledge of the latest planning policies that basement conversion project requires, and also to prepare planning to create basement conversion in restricted areas such as a Conservation Area or AONB. Once your planning application for your project has been submitted by APT Renovation, the planning department will check all planning information it requires has been received together with the correct design. Local authorities can issue planning permission within 8 to 10 weeks of submission. In some cases signage proposed basement conversion planning will be posted outside you property related to development of your project and any neighbours likely to be affected to be invited to view the plans and to comment. This is known as the public consultation process and it takes three to eight weeks. The authority will intitiate statutory consultations with your local Highways department, as well as Environment Agency. What if my planning application is refused? Our experience shows that 85 per cent of applications are granted. If your planning application has been refused, we will take a close look and make amendments to resubmit you application with compliance of local authorities requirements, or you we can make an appeal on your behalf to the planning inspectorate — around 90 per cent of householder applications are later granted at appeal. How long do I have to wait start the project? Should start your project within this timeframe. Can I amend my plans once Full permission has been granted? You entitled to make minor alterations by applying for a non-material amendment. What happens if I carry out works without planning permission? It is illegal to convert or alter your basement without planning permission, If you have failed to get permission for your basement conversion project, then the local planning authority hold the rights to take action to have project demolished. In this case, you can apply for retrospective planning application and if you will be refused you can appeal the decision. There is a very slim chance: if you local authority did not take enforcement action within four years of basement conversion project completion, the development becomes lawful for change of use and immune from enforcement action (for 10 years). However this is too great a risk to take. Some of the building projects will not require planning permission. This is known as ‘permitted development rights’. There are other projects that might not need planning permission, eg projects that will have no impact on your neighbours or the environment. If you think this could apply to your project, check with your Local Planning Authority. If your building project benefits the local community, and the community supports it, you may not have to go through the normal planning permission process. Neighbourhood planning and Community Right to Build lets your community grant planning permission directly under certain circumstances. In general, Building Regulations apply to the construction of new buildings and to extensions and material alterations to buildings. In addition, certain parts of the Regulations apply to existing buildings where a material change of use takes place. Otherwise, Building Regulations do not apply to buildings constructed prior to 1 June, 1992. You need to ensure if you need planning approval before you start you basement conversion project. You might need building regulations approval and planning permission for basement conversion. Our team here at APT Renovation cover the construction and conversion of basements to meet Building Regulations 2010. Speak to our team if you are not sure, whether if you need approval. You need to make sure the work carried out on you project is fully comply with building regulations. Without full approval of your alterations you won’t be able to sell your home. Your neighbours should be notified if you are planning any type of building work near or on your shared property boundary, or ‘party wall’, in England and Wales. You can also have a ‘party structure’. This could be a floor or other structure that separates buildings or parts of buildings with different owners, eg flats. Party wall agreements are different from planning permission or building regulations approval. If you are planning to start basement conversion project, you should comply with Party Walls Act before you get started the work. 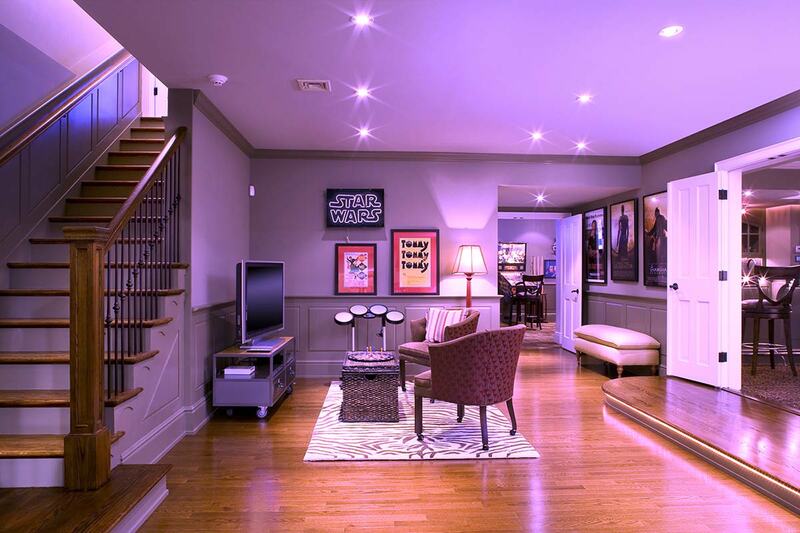 You need to notify your neighbours of your plans and get their permission for your basement conversion. If you are planning to excavate the basement in terraced or semi-detached property then you will need to notify to your nearest adjoining owner to start the project of any excavation works to walls shared with them. APT Renovation team advices to serve correct notice in order for it to be valid. You may need to serve more than one notice. cutting away projections such as original bricks. Basement conversion works always require the use of special foundations. This type of foundations includes underpinning of beams and rods is for the purpose of distributing any load. If special foundations are planned to be placed, it is important to state it in the party walls notice, as it is unlawful to place special foundations under the adjoining owner’s land without their written consent. When should you serve your party wall notice if you are planning to work directly on a party wall? It is important to serve your party wall notice to your neighbours and adjoining owner as quickly as possible. You may only start the planned basement conversion work two months after your party wall structure notice is served to your neighbour. excavating below a party wall which is to be underpinned. When should you serve your party wall notice if you plan to carry out excavation works? You should serve your party wall notice at least one month in advance you start any excavation work. If you planning to start basement excavation earlier, you will need to make notice and obtain the adjoining owner’s consent in written form. What to do if your neighbour ignores your notice? 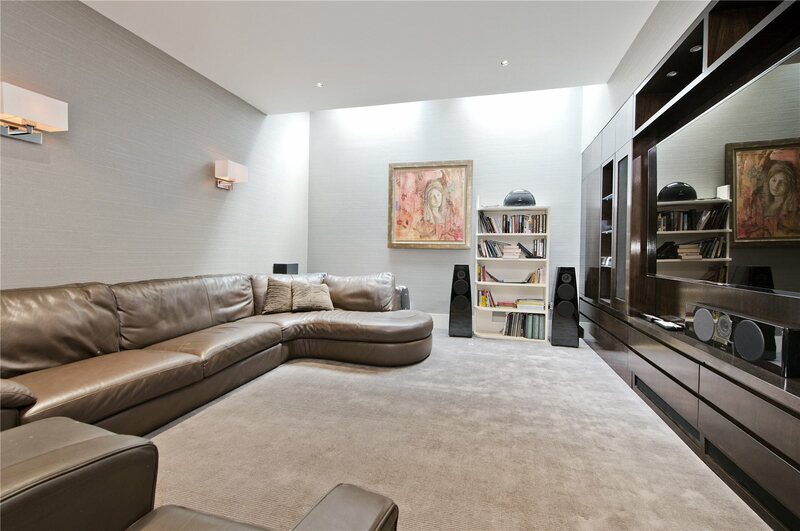 APT Renovation advices you to discuss any plans you might have with basement conversion with your neighbour to fit a basement as early on in the process as possible. This will help to solve any concerns or questions your neighbour may have, in order to find out and to avoid neighbours withhold consent. As per Wall Act notices, the adjoining owner holds full right to consent to any excavation or basement works, your neighbour may refuse consent, or not respond to it at all. If your neighbour is refusing consent, or not responding to your notice, it will clearly mean that your basement works may go into dispute, and the procedures for resolving disputes under the Act come into action.